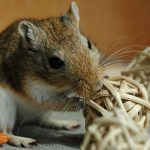 There are many animals that are commonly kept as pets like dogs, cats, birds, rabbits, and even snakes. But have you seen someone who has kept a bearded dragons as a pet? Well, there is quite a number who love to have these amazing creatures at their homes. These species are available in abundance at stores, reptile expositions, and in breeders’ virtual hubs. They can be raised either as a “normal-colored” breed or as a color-morphed kind. These reptiles are medium-sized lizards that are known for their ability to change their colors depending on their environmental and social conditions. Hatchlings from this reptile breed may be about up to 4 inches. An adult bearded dragon can grow to about 2 feet in length. These incredible creatures can change the color of their specific body parts depending on whether they are adapting to the temperature change or interacting with other bearded dragons. Recent studies also indicate that they share similar sleep patterns with other mammals. As interesting as their body makeup and sleeping habits are their eating habits. Bearded dragons are omnivorous. That means they will consume both greens and insects. 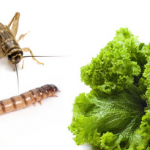 You will find them munching cruciferous greens like cabbage, broccoli, and similar green leaf vegetables, or crunching their all-time favorites crickets and worms. Bearded dragons enjoy have a variety of simple meals –natural and omnivorous diets. 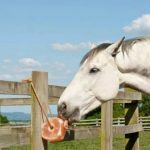 If you have or are thinking of owning one of these gentle beasts, you may need to know that your new or soon-to-be friend has a lifespan of about 10 years or more. If that is the case, it might interest you to know the best diet for bearded dragons. 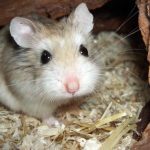 Though these creatures have a variety of diets, feeding them foods that are best fit for their health requirements, as well as the best way to feed them, is what will make them healthy. 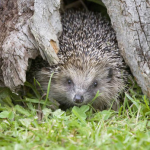 They may feel ill or will display signs of deteriorating health if you won’t feed them as frequently as they should or if the food that you give them does not meet their nutritional needs. As a general rule, to maintain your tiny friend’s appetite and health, you need to feed its diet needs to be composed of select fruits and vegetables (about 25% of the total food mix), combined with their favorite treats (tender, juicy insects). 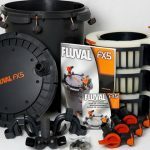 These products are very good for your pet, but sometimes it is difficult to transport and preserve. 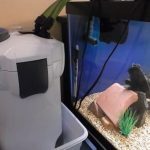 You do not have much time and effort for this, another suggestion for you is to choose the Best Food for Bearded Dragon Growth on Amazon. It is always great alternatives for you. Collard greens are an excellent source of vitamin K, A, C, and manganese. It is also a good source of calcium and vitamin B6. Give your gentle beasts small pieces of these loose-leafed greens and see how much it enjoys it. Dandelion greens are considered one of the healthiest greens. This leafy vegetable is rich in vitamin A, C, K, and calcium. Remember to feed your gentle friend with the leaves of the dandelion and not the flower. Another green alternative, endive comes from the daisy family. 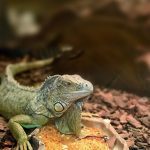 It is an excellent source of folate, vitamins A, and K. You can mix this green with other greens and you will be sure that you are giving your bearded dragon an exceptionally healthy meal. This is yet another good source of vitamin A. If you can feed this docile reptile with Bok Choy (aka Chinese Cabbage), make sure to tear the leaves in small pieces before giving some to it. You can feed a bearded lizard with the leaves and not the root of the turnip. This green food for your reptile friend will provide him with vitamins A, C, and K. They are also rich in calcium, folate, and lutein. Your precious little eater will delight in this fiber-rich food. Remove the seeds and have pieces of the fruit chopped into fine pieces before serving it to your beardie. 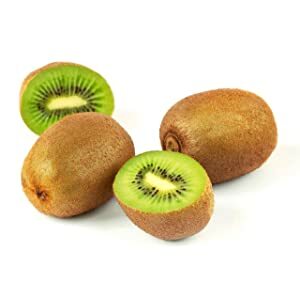 For some real treat to your gentle eaters, give it some delectable fresh Kiwi. However, it is advisable that you limit the servings for just twice in a month as this fruit has a high oxalic acid content. Figs are a good source of calcium and fiber. These are usually dried and cut into small pieces before they are served to your beardie. Grapes are a good source of vitamin K, C, E and other minerals like calcium and folate. However, as grapes are highly acidic, you should feed your beardie with a red grape occasionally as it has lower acid content than green grapes. Bananas are high in potassium. However, many have observed that feeding a bearded dragon with bananas frequently will lead to your pet falling sick. This may be due to the high phosphorous content in the fruit that affects your pet’s calcium absorption. It is best to feed your pet with bananas once a month. When you do, make sure that you give him a small portion of the fruit and only up to 100 grams or 3.5 ounces. 1. Avocados: Avocados have a high amount of oxalic acid which could be dangerous to your pet if consumed in high doses. A small amount of this fruit can make your beardie sick; large amounts can cause death. 2. Rhubarb: Rhubarb may be turned into a delicious treat for humans but not for a bearded dragon. It contains oxalic acid and can be toxic to a beardie, so it should never be fed to this pet. 3. Lettuce: Lettuce does not provide any nutritional value to your reptile and may also cause diarrhea, so you should better skip this vegetable. Instead feed your docile reptile with dale, watercress, carrot tops, parsley, and all other previously mentioned greens instead. 4. Fireflies: Fireflies are considered extremely toxic and should never be fed to a bearded dragon. 5. Beet Tops: Though beet tops can be highly nutritious for humans, it can cause calcium deficiency and can lead to metabolic bone disease. 6. Spinach: Like Beet Tops, Spinach contains nutrients that inhibit calcium absorption in the body. This may also cause metabolic bone disease. 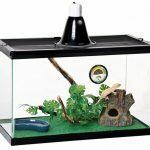 You may feed a small amount of either the beet tops or spinach to a bearded dragon only once a month as these two will provide plenty of nutrients to your tiny friend. Remember that your pet is omnivorous. Hence, they will enjoy a diet that are greens, fruits, and small animals. Providing them with the right food in an adequate proportion will keep them healthy. 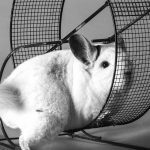 However, to ensure their optimum growth and health, it is also necessary that they are provided with the right living conditions. Proper grooming and handling of these reptiles are also vital to ensure that they will be provided optimum health. A bearded dragon is an interesting creature. Though they may not look inviting, the way they live is quite amusing. Like many other strange creations, they possess behaviors that are equally entertaining and quite absorbing. They move about quickly and adapts to their environment with ease and in a distinct manner. They may not look friendly but once you have learned how to manage them, you will find that they could perhaps be more docile than your cat. Their docility does not make them less tamed than they are in reality. Hence, it is essential that you know how to manage them well if you plan to keep them for some good years. 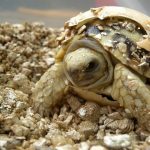 As caring for these docile reptiles include managing the food that they eat, it is vital that you understand what will best suit their nutritional requirements. You can provide them the best living condition and allow them to have a more enjoyable stay within the confines of their makeshift homes. 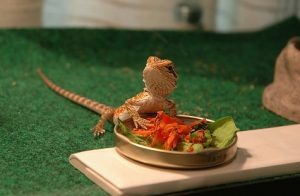 To help you manage your bearded dragons, remember to feed them with the best diet we have included in this list. 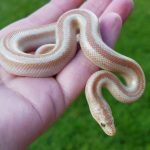 Have you cared for one of these docile reptiles? What diet have you provided for them? Have you observed anything unusual with certain foods that you have offered them in the past? Did they display interesting habits? What have you learned so far with how you managed your little friends?